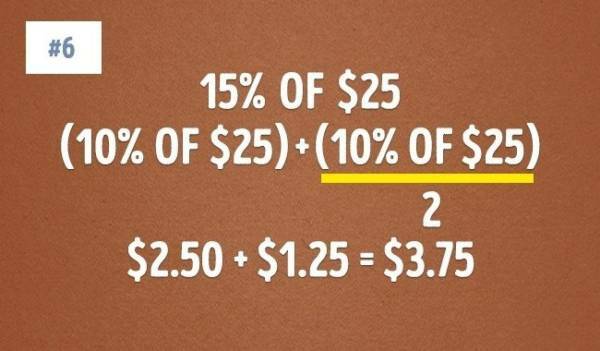 If you have issues with math, it’s not your fault. 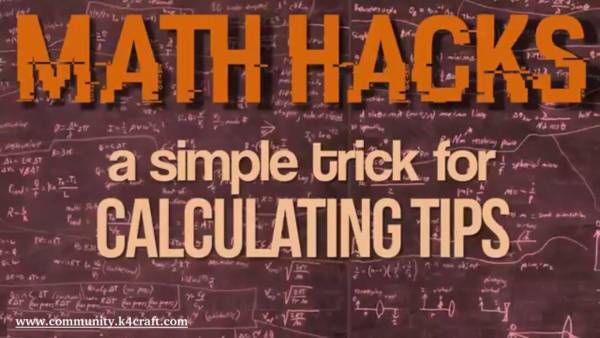 The problem is that nobody taught you the most useful math tricks in school. 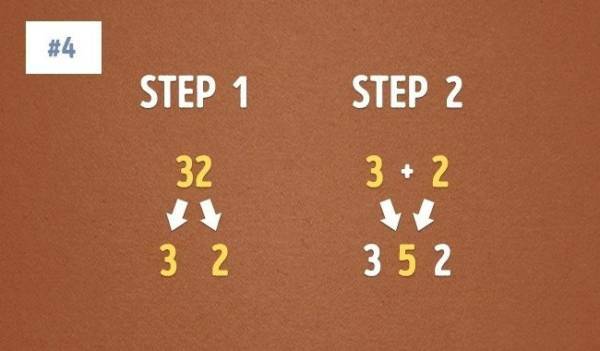 we put together the best tricks that will help you count easily and quickly. 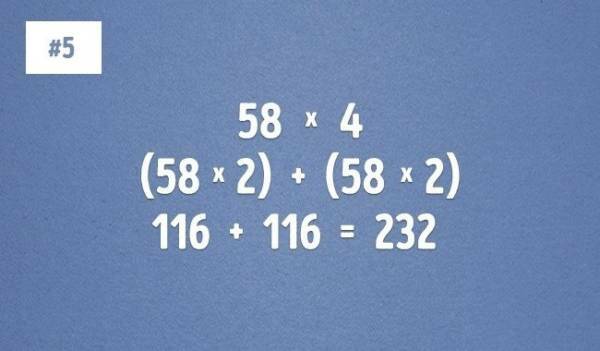 With these, any kind of calculation will be easy as pie. 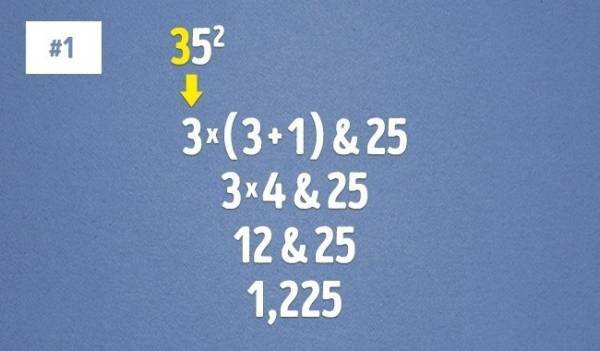 Dividing large numbers by five is, in fact, pretty simple. 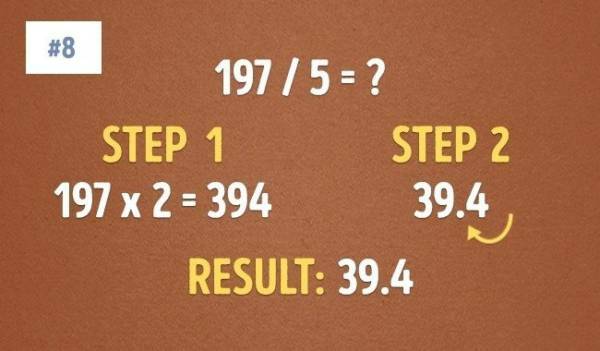 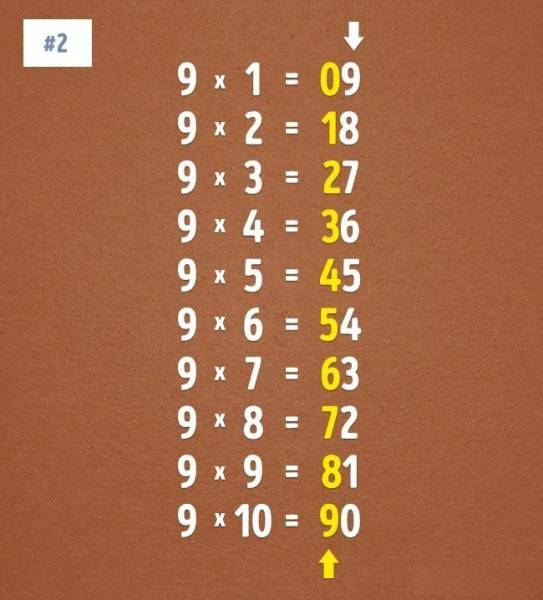 All you need to do is multiply your number by 2 and then move the decimal point. 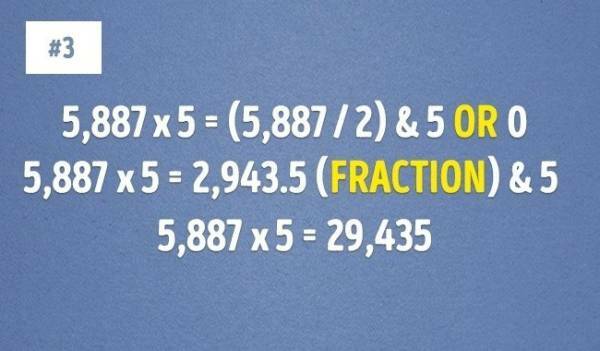 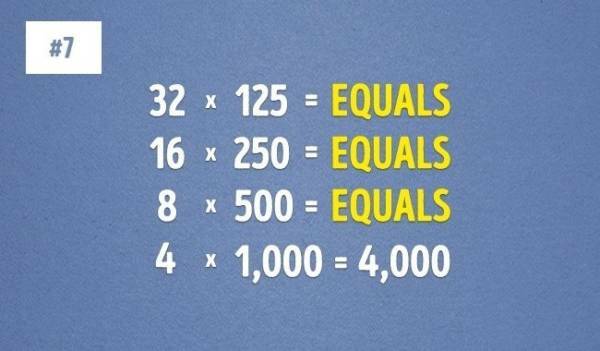 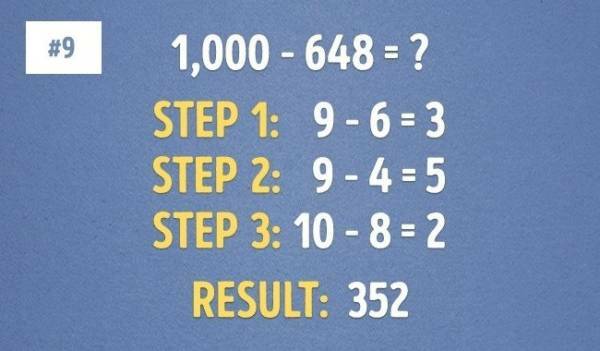 There’s a simple rule for subtraction from 1,000: just subtract all the digits from 9, and the last digit from 10. 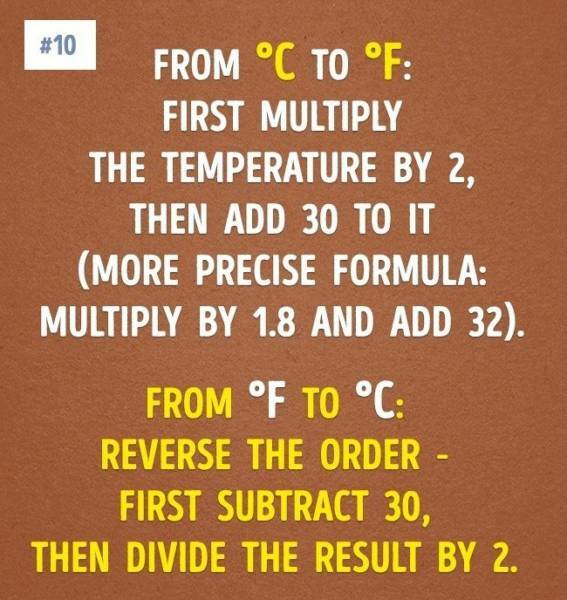 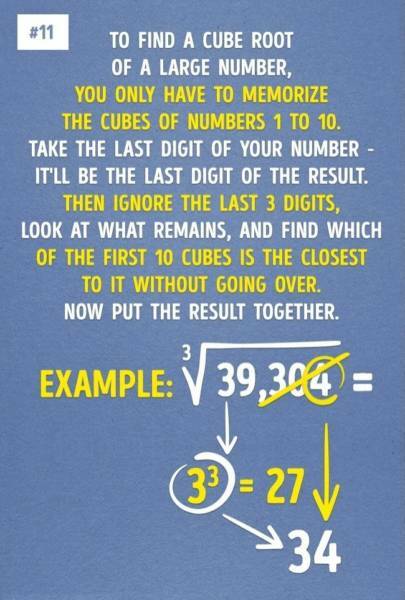 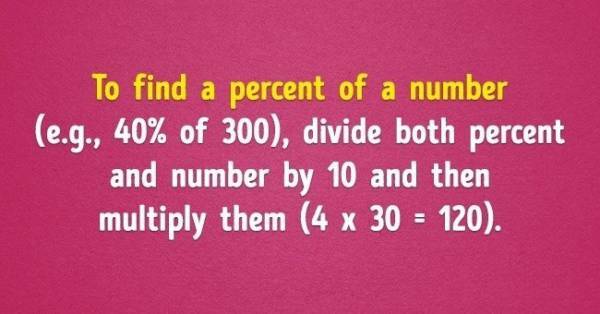 Hope you like these Math tips / Hacks.